Boise’s historic West End neighborhood lies at the west end of downtown. 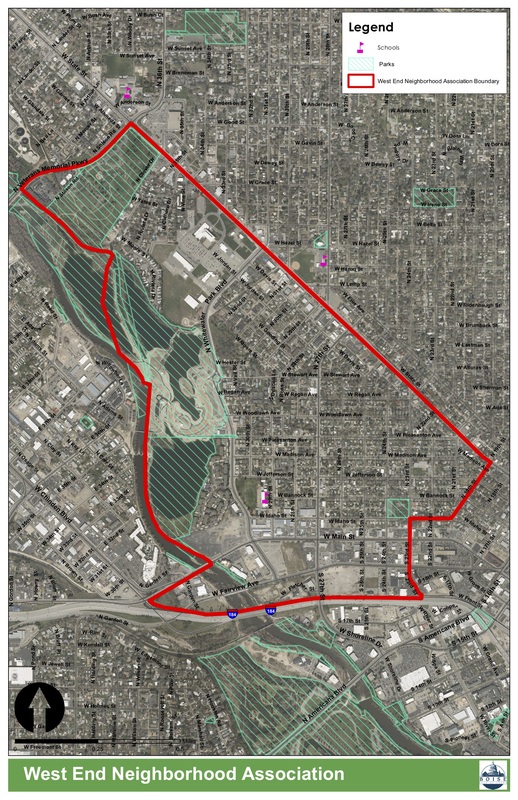 It lies largely between the Boise river and State Street, beginning at 19th Street and ending at Veteran’s Parkway. Read about the history of the neighborhood in this article by Tully Gerlach. Also see the addendum about local place names. Walk the West End interpretive trail! The trail begins at Fairview Park and ends at the Pleasanton bridge to Garden City. The trail is marked with arrows and you can follow along using the trail guide.